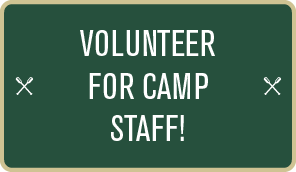 Family, friends, former campers and counselors can still help out! Campers come to camp seeking to have fun, grow in their relationship with God, and to develop into Christian young adults. Camp Staff volunteers are important catalysts in this process and provide needed adult role models for campers and staff. 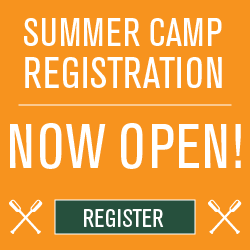 Their teaching, advice, relationship building, and presence are an important part of the camping program. Camp Staff members spend time before camp starts and during the camp session preparing information and presentations about their theme for the campers. Some campers will remember a special theme well into adulthood, so this can be a great way to leave a lasting impression on a young mind. Their presence during camp is a beautiful gift not only to campers, but to our Permanent Staff as well. Camp Staff is trained during a period known as “36 hrs” which begins at 5:00 pm two days before the session starts (with exceptions for First Camp and Camp Able). The Dean (always a clergy member) will lead the Camp Staff members during their session. 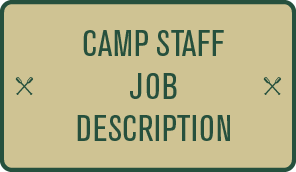 *We prefer that folks wait at least one year after being on Permanent Staff before serving on Camp Staff.